Easily one of the most iconic creatures to go bump in the night. 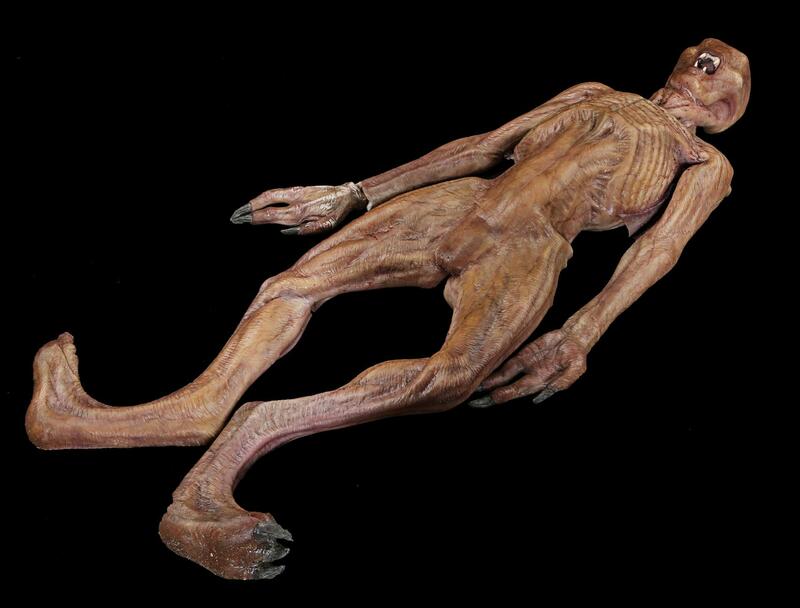 The vampire bodies from Priest are some of the coolest pieces that have been haunting the Prop Store warehouse until this sale. Made of silicone, these bodies are fully painted and were made for use in battle scenes throughout the film. What better way to start the Halloween season than to summon your very own Pumpkinhead. 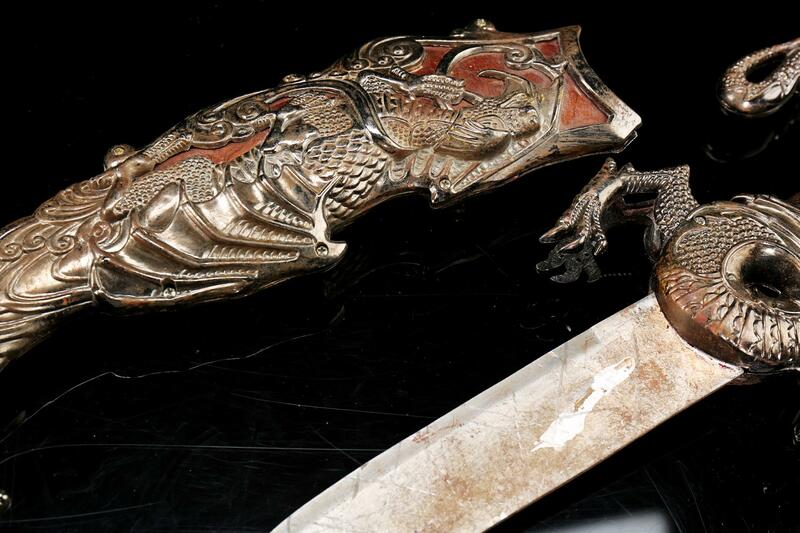 The metal knife boasts an intricate dragon-themed handle with ornate wing and scale designs along the sheath. Easily one of the best cursed objects in the sale! 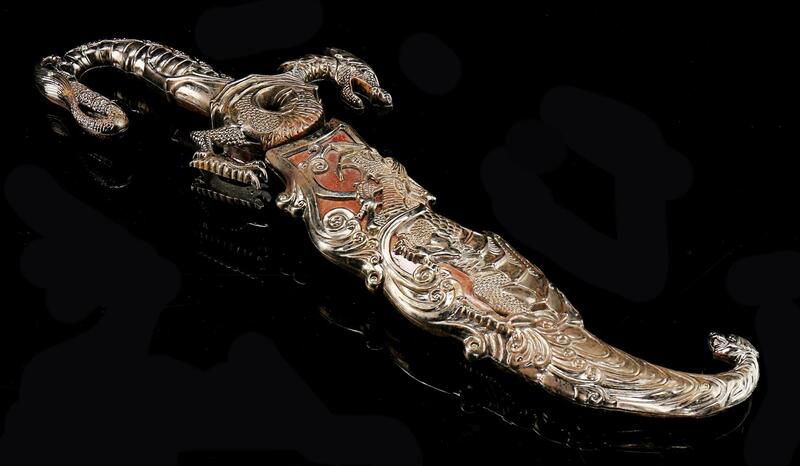 Of course legally we have to stress that purchasing and using this knife in demonic ritual is no guarantee that you’ll be able to summon a pumpkin-themed demon, but we can say it definitely worked in the movie, so… buyer beware? In a culture more and more dominated by the works of Stephen King, we are happy to offer this piece from the 2007 thriller, The Mist. Based on King novel by the same name, the film sees a pack of strangers seeking refuge from unseen monsters shrouded in a mysterious fog. Tentacle arms were made for use during the rare instances when the monsters can be seen reaching for their next human-sized meal. 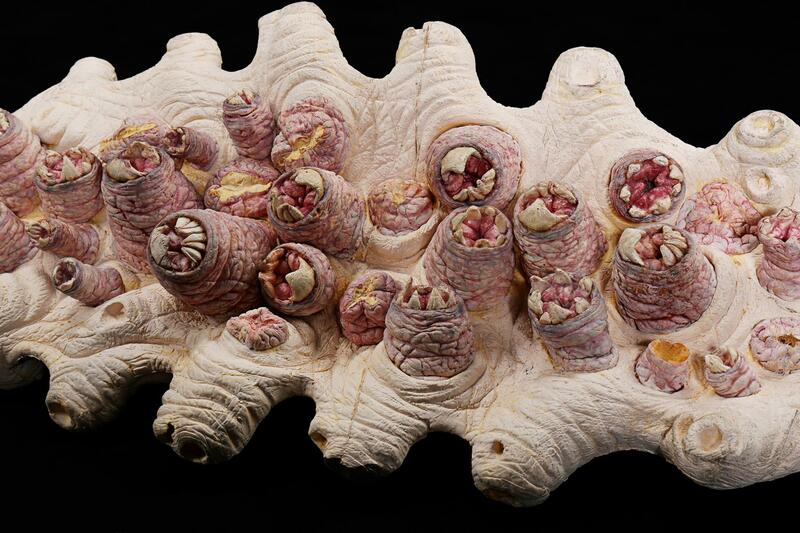 The foam piece is fully painted, with rings of vicious-looking teeth around many of the tentacle’s suction cups. 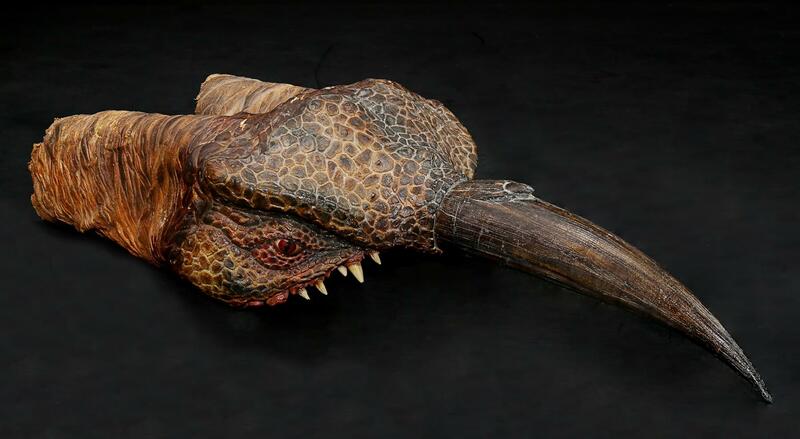 One of the most striking creatures in the sale, the Project 4-12 head from the short-lived Tremors TV series has one of the most unique monsters we’ve encountered. 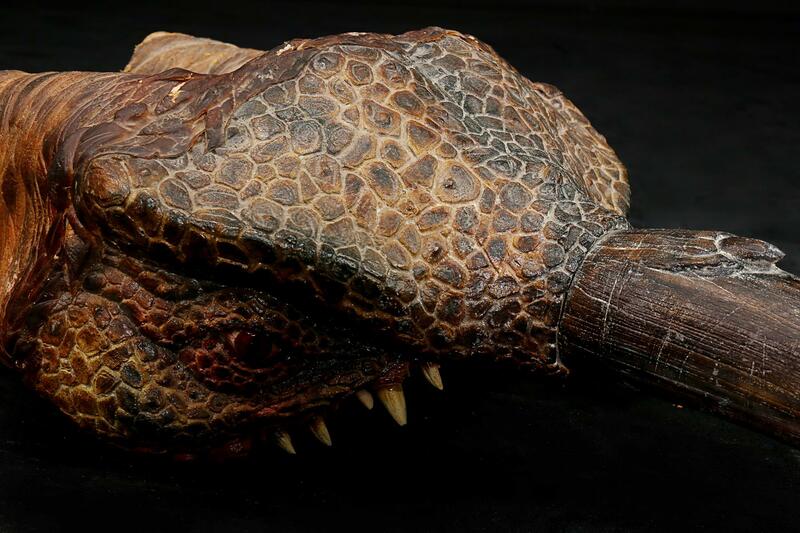 The creature’s reptile-inspired design includes large brown and beige scales atop the head and face and vicious teeth in the creature’s mouth. The long, curved horn completes the monster’s unique appearance. Remember you can bid now in the Halloween Auction now and get your hands on all sorts of goodies in time for your very own spooktacular Halloween party – so make sure you don’t miss out! very interesting appearance of the statue, as it appears to be original, really creepy and terrible.